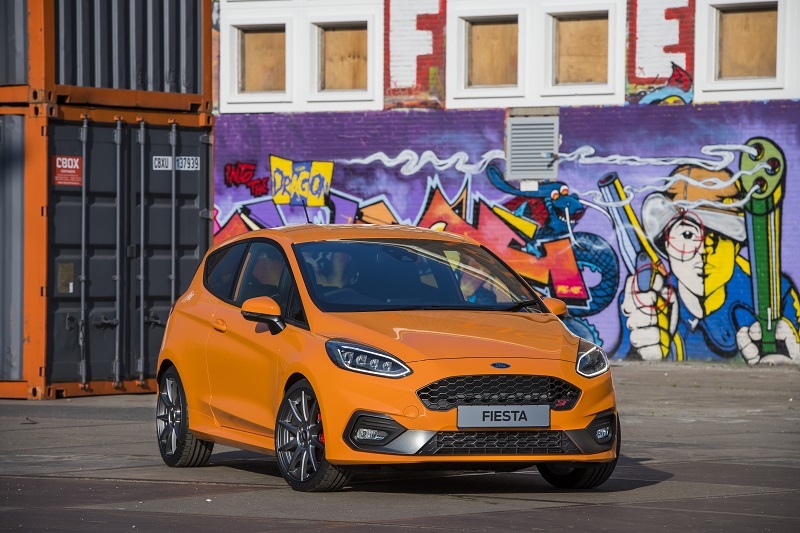 I’ll be honest, I can’t think of many ways to make the new Fiesta ST better, but Ford Performance has been hard at work to reveal a new limited edition model. 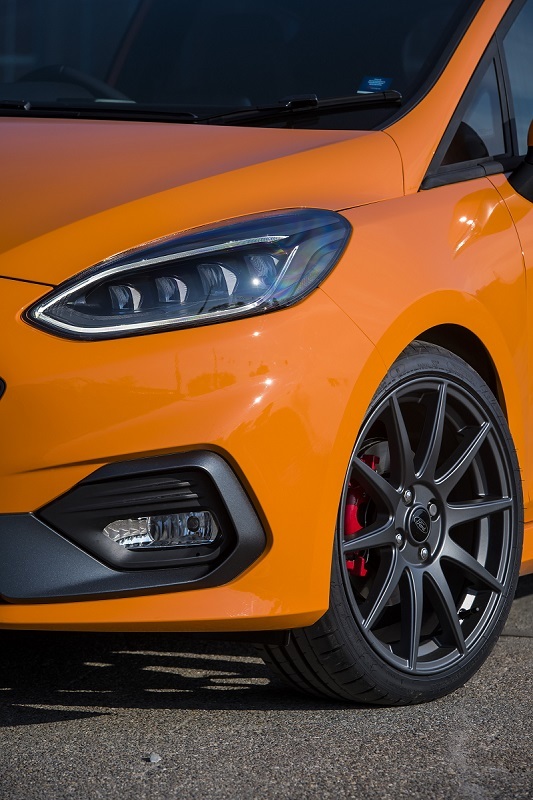 It’s called the Ford Performance Edition and it’s, well, very orange. More specifically, it’s called Deep Orange, probably because Essex Girl Fake Tan Orange was a bit of a mouthful. So it’s just a lick of paint?! 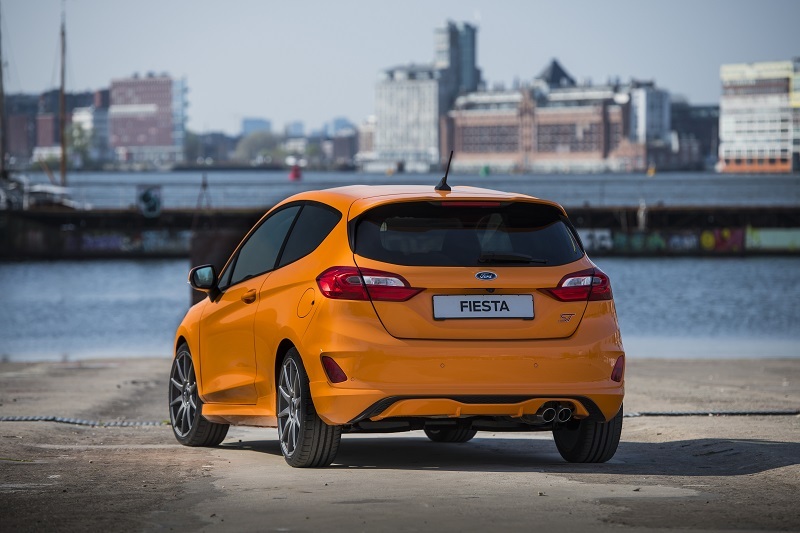 No, no, no – what do you take Ford Performance for? 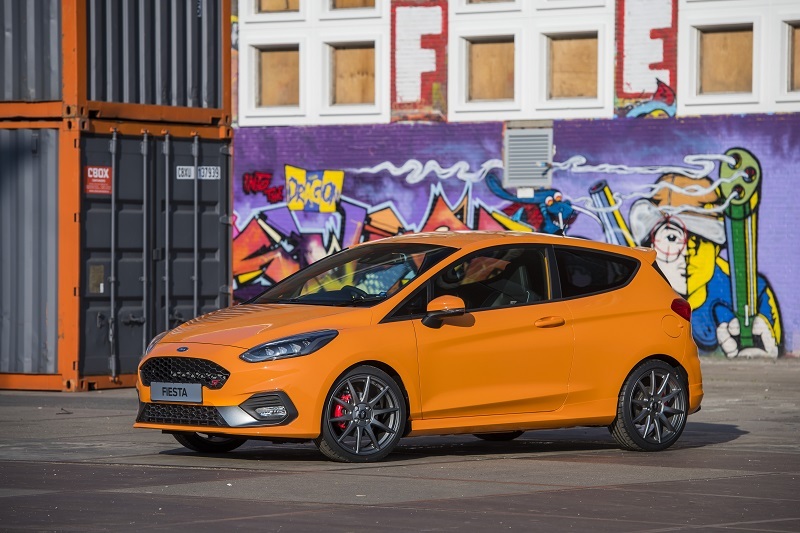 As well as the bold paint, the Ford Performance Edition sports a set of 18″ alloys that make a total weight saving of 7kg, plus there is also coilover suspension. 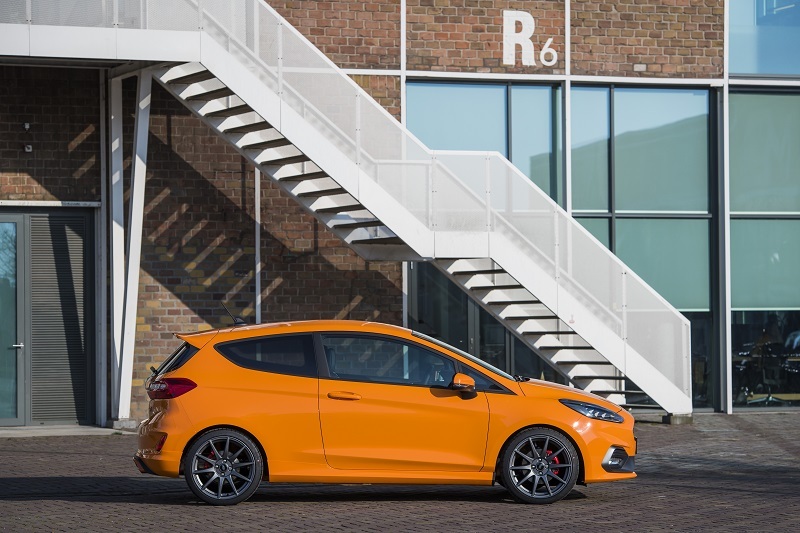 This then is the Fiesta ST you’ll want to take on the track. Even more so, as it comes standard with the Performance Pack, meaning you get launch control, shift lights and more importantly, a limited slip diff. Going back to the coilover suspension; it drops the ST 15mm lower at the front and 10mm lower at the rear, and can be adjusted manually. There are 12 bump settings and 16 rebound settings so there should be a setup to please every keen driver. 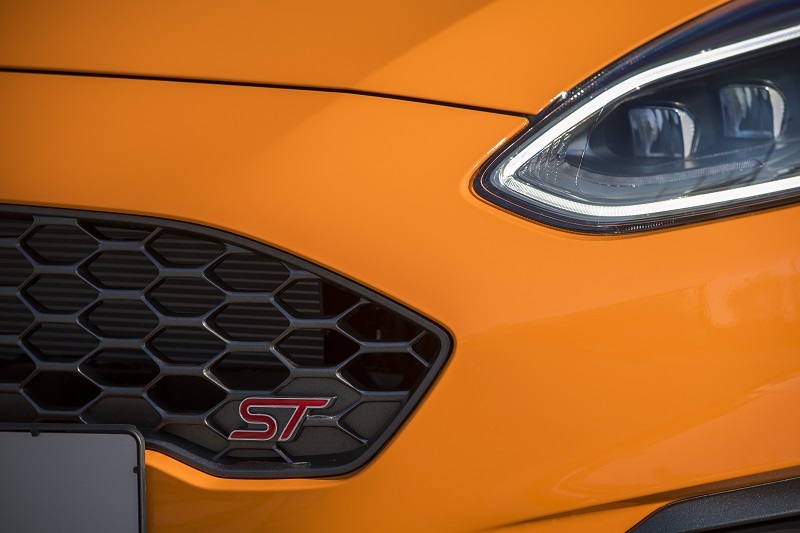 As well as the new paint, exclusive alloys and the Performance Pack, the Ford Performance Edition also benefits from standard features such LED headlights and B&O sound system, so this could well be the ultimate Fiesta ST… The price is yet to be formally announced, but Ford states the FPE will cost £3,000 more than the ST-3, so you’re looking at a price of around £25,450, which I will concede, is a fair amount of wedge. Still, you’ll be buying a car that could hold a decent amount of value in the future as it’s limited, with just 600 examples rolling of the production line, exclusively for the UK market. It will go on sale in June, with deliveries expected in September.